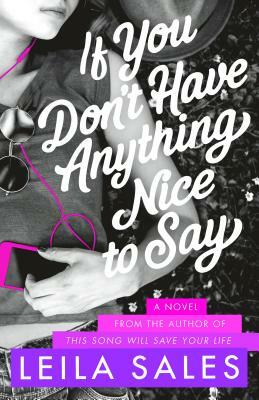 A novel about public shaming in the internet age, the power of words, the cumulative destructiveness of microaggressions, and the pressing need for empathy. We all want to be seen. We all want to be heard. But what happens when we’re seen and heard saying or doing the wrong things? When Winter Halperin—former spelling bee champion, aspiring writer, and daughter of a parenting expert—gets caught saying the wrong thing online, her life explodes. All across the world, people know what she’s done, and none of them will forgive her. With her friends gone, her future plans cut short, and her identity in shambles, Winter is just trying to pick up the pieces without hurting anyone else. She knows she messed up, but does that mean it’s okay for people to send her hate mail and death threats? Did she deserve to lose all that she’s lost? And is “I’m sorry” ever good enough?